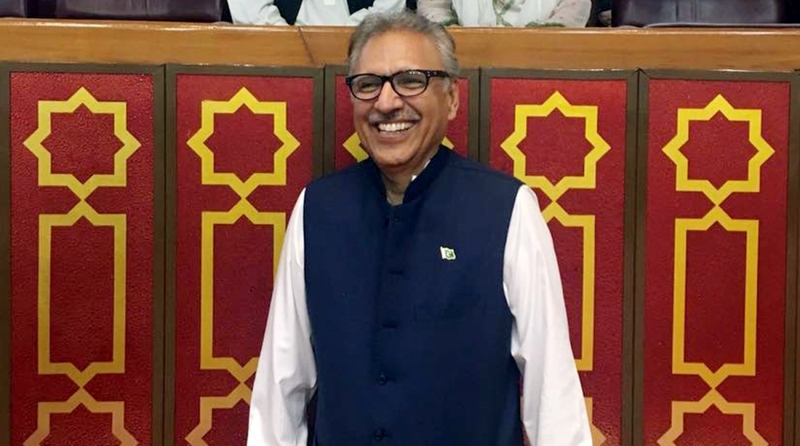 Senior Pakistan Tehreek-i-Insaf leader Arif Alvi took oath as the country’s 13th President on Sunday, a day after outgoing President Mamnoon Hussain’s five-year term ended. Chief Justice of Pakistan Mian Saqib Nisar administered the oath to Alvi, who was elected to the National Assembly from Karachi’s NA-247 constituency in July, reports Dawn news. Apart from Chief Justice Nisar and Prime Minister Imran Khan, civilian and military officials attended the ceremony at the Aiwan-i-Sadr (President’s House) here. Visiting Saudi Arabian Information Minister Awwad Bin Saleh Al Awwad was also present. As per the 1973 Constitution, Alvi’s election to the National Assembly seat will stand null and void once he takes oath as President since an elected member of Parliament cannot hold the office of head of state. 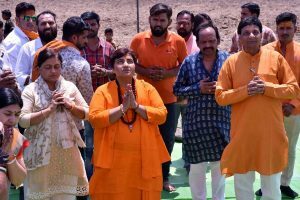 Alvi, who was up against Pakistan People’s Party’s Aitzaz Ahsan and Jamiat Ulema-e-Islam’s Maulana Fazlur Rehman for the post of President last week won the election with 352 electoral votes – 44 more than his two rivals could collectively obtain. On Saturday, Mamnoon Hussain received a farewell guard of honour by a contingent of the armed forces on completion of his tenure.